Quitting one’s job and venturing into entrepreneurship can be influenced by many things – the opportunities that abound in the new venture, the passion for creating the solutions the venture proposes – among others. However, taking that step is not an easy one. Leaving a system where you are sure of at least a particular sum at the end of the month, for a venture where you may not get an income in the first few months or beyond, is a move that requires careful planning, grit, diligence, determination, money, among other things. 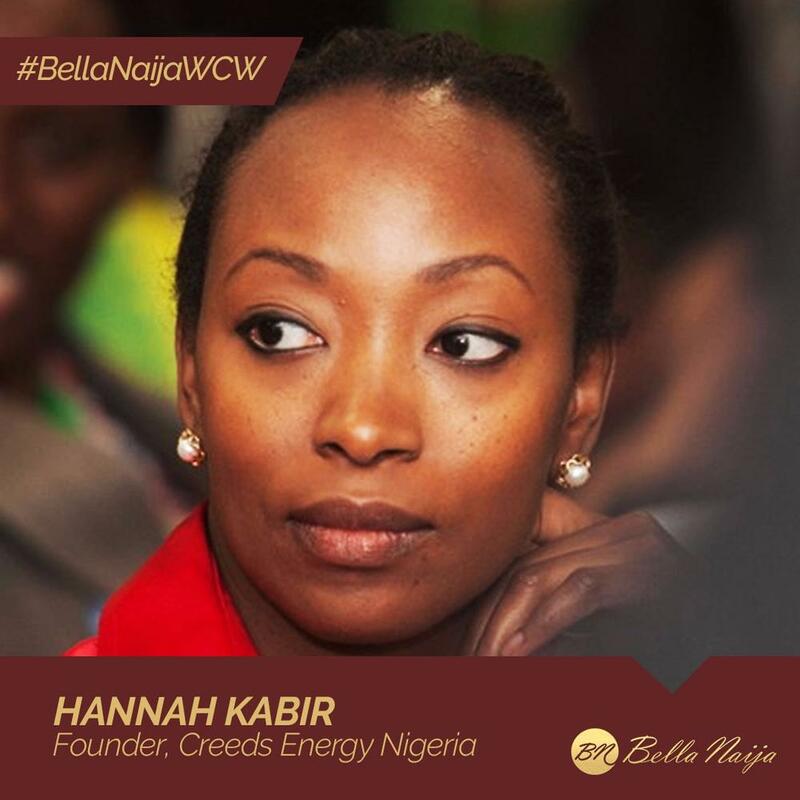 Our #BellaNaijaWCW this week Hannah Kabir made the move in 2012, one year after she started her business, and her story is particularly beautiful because she left to start an important business that is impacting the lives of many. Hannah, just like our #BellaNaijaMCM this week Ifeanyi Orajaka, founded a solar energy company to address the challenge of the power deficit in Nigeria and Africa at large. 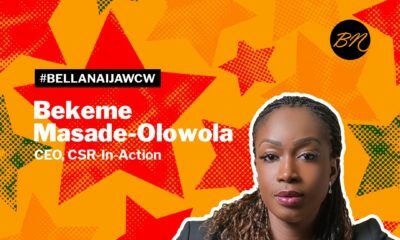 The future of electricity generation (which is already in motion by the way), is through renewable energy, and Hannah is contributing her quota to getting power to the more than 75m Nigerians without access to electricity as well as reducing the demand for electricity from the national grid. Hannah founded Creeds Energy, a professional renewable energy company dedicated to making clean energy technologies mainstream applications in households, businesses and communities, in 2011 to address this challenge. 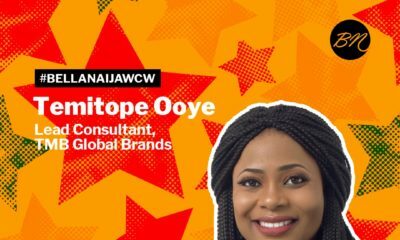 Hannah obtained a BSc in Business Economics from Queen Mary University of London and went on to work as a business analyst at Galaxy Backbone Plc., in Abuja. Hannah wanted a break from work so she could get a masters degree, hence she applied for a PTDF scholarship, took the exams and got assigned to University of Newcastle to study Renewable Energy Enterprise and Management. She had initially thought of turning down the offer, but on the advice of family and friends that the field is the future of energy and power generation, she decided to take the scholarship. Given the energy challenges in Nigeria, she decided to base her thesis on solar hybrid systems for urban households. The field research, data collection and insights opened her eyes to the need for solutions based on renewable in Nigeria. That was the beginning of the journey to starting Creeds Energy. Six years down the line, Creeds Energy offers solar packages designed to provide electricity, water pumping and heating for homes, businesses, schools, organizations and communities either as back up to grid power or stand alone solutions. Creeds Energy also engages in product retail – solar portable lights, improved cooking stoves, professional renewable energy advisory, research and consultancy to individuals, national and international organizations. Creeds Energy’s also runs the Light A Home Project (LAHMP), an initiative designed to alleviate electricity poverty within three pilot communities in the Federal Capital Territory, using renewable energy technology. Hannah is a member of African Renewable Energy Alliance (AREA), Energy Institute UK, International Institute of Business Analysis (IIBA). Hannah is using Creeds Energy to realize the development of a sustainable green economy in Nigeria that is low-carbon, resource efficient, and socially inclusive and we are rooting for her! A very hard working and dedicated Lady. More grease to your elbows! Really impressive. Well done Hannah. 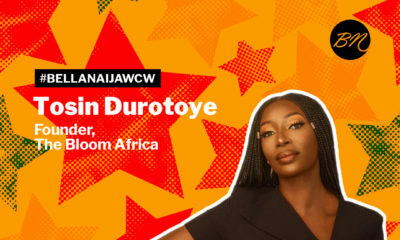 We need more of you in Nigeria and Africa at large. The story is powerful the impact even moreso! More power to you Hannah! Wow! What an incredible and brilliant woman. Hannah, thank you for making us, your friends, proud.